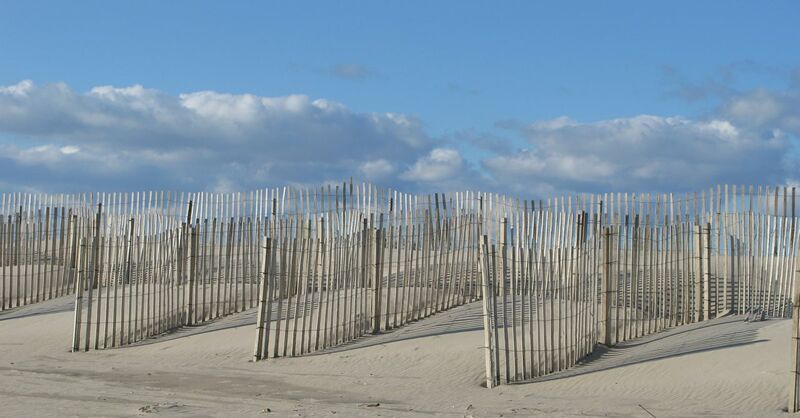 This is arguably the most “famous” or “infamous” of East Hampton beaches. It has a long reputation as a gay beach. In 2003 there were arrests here. The parking lot was a pick up spot for gay encounters. There were also occasional parties on the beach. Now, there is a new bathroom building, a large parking lot ($20/day in season) and several on duty life guards in the summer and the beach is frequented by families and all types of beach-goers. 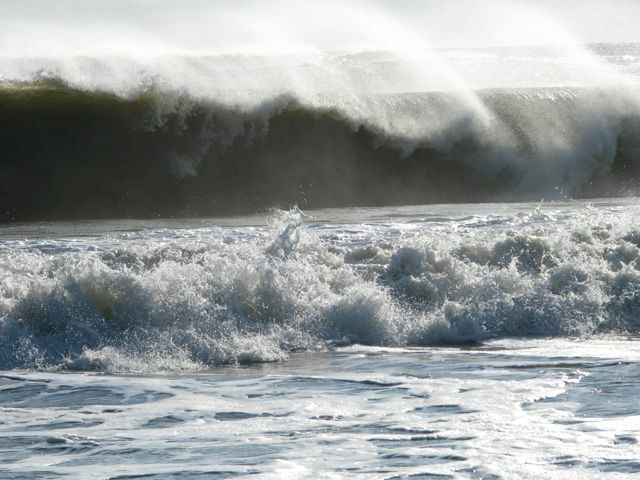 It is a beautiful Atlantic ocean beach, which along with other East Hampton Village ocean beaches is apparently ranked among the top 10 beaches in the country. About 15 years ago a shipwreck washed ashore here and this was captured in beautiful photographs by John Todaro. I like the 1.2 mile walk from the parking lot heading east to Indian Wells beach in Amagansett. Multi million dollar ocean front homes, with Further Lane addresses (belonging to the likes of Tommy Hilfiger, Jerry Seinfeld and the de Menil family), line this beach but are not visible as they are hidden by the dunes. While crowded in the summer there are only dog walkers and the occasional 4×4 vehicle during the winter. 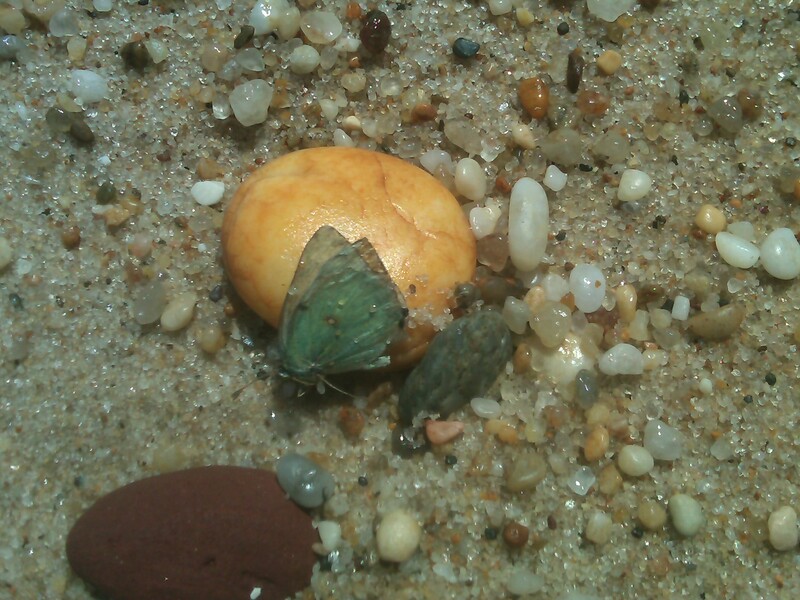 On a recent walk I found quite a bit of sea glass, some nice stones, interesting scallops, and a sand dollar. Egypt Lane starts at Montauk Highway at the traffic lights by the post office. When you reach Further Lane (after about 0.5 miles) you are surrounded by the Maidstone Club golf course and you can see the old club house straight ahead. I usually make a quick right and then a left to get on to Hwy Behind the Pond. This leads past beautiful homes to the Wiborg Beach parking lot. From this point heading east along the beach, it is just over 1 mile to the beach parking at 2 Mile Hollow Lane. 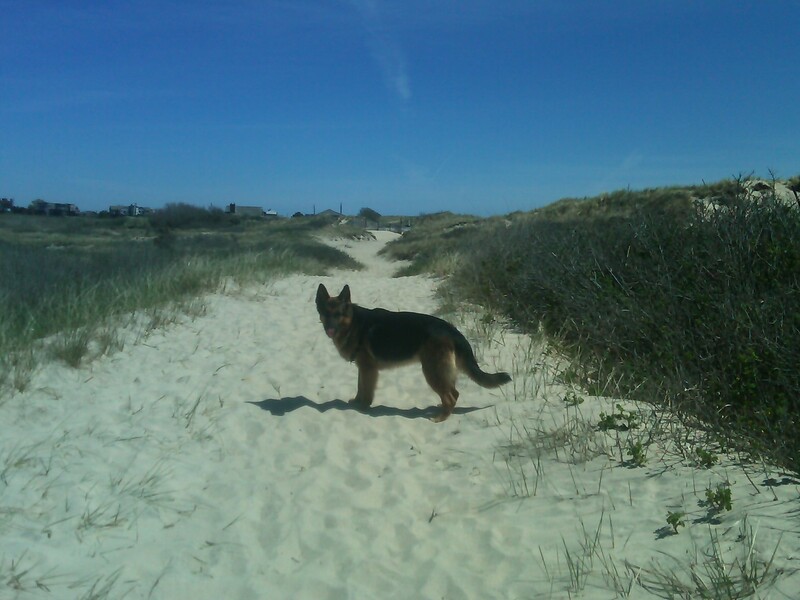 It is a nice walk along a gorgeous beach and prime real estate behind the dunes. Along the way you will pass the Maidstone clubhouse and a beach parking lot at the head of Old Beach Lane (the extension of Egypt lane), an alternative access to this beach. Expect lots of people in the summer. 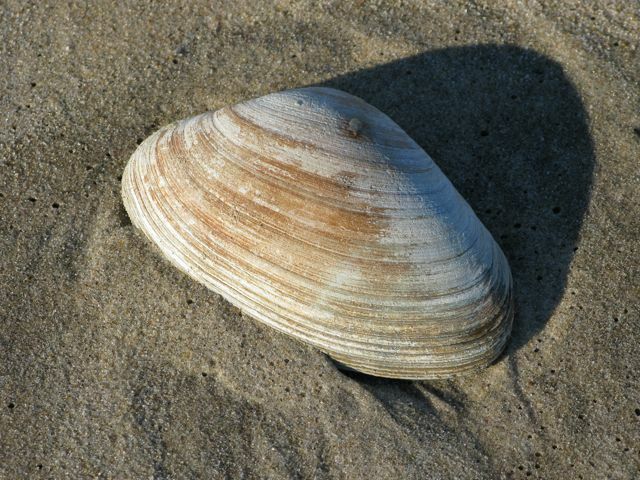 If you are beach combing, you can find some drift wood (specially close to the dunes), some beach glass, and occasional moon shells, and sand dollars! But mostly there is just beautiful white sand. At sunset there are sensational views of the ocean. Wiborg beach is named after the Norwegian Wiborg family. Frank Bestow Wiborg made millions manufacturing ink and the family was one of the first wealthy families to buy a house in East Hampton. His wife was the niece to Civil War General William Tecumseh Sherman. Their daughter, Sara Sherman Wiborg, married Gerald Murphy and they moved to the French Riviera, where they became the center of a large circle of artists and writers of later fame, especially Zelda and F. Scott Fitzgerald, Ernest Hemingway, John Dos Passos, Fernand Léger, Jean Cocteau, Pablo Picasso, Archibald MacLeish, John O’Hara, Cole Porter, Dorothy Parker and Robert Benchley. In June 2008, at the conclusion of Hillary Clinton’s Presidential bid, she stayed at the Wiborg Beach home currently owned by Thomas H. Lee in East Hampton Village. Lee is an avid art collector, a trustee of Lincoln center, MOMA and The Whitney Museum. The walk is about .75 miles oneway. Here is a nice map. You can leave your car at either end, Wiborg or Main beach. In the summer Main beach can be crowded. It has been voted in the top 10 beaches of the USA in 2010 and 2011 according to at least one website that does this sort of thing! To me, though, this stretch of beach is not much different than any of the Atlantic beaches out here. At Main Beach there are annual fireworks around July 4th sponsored by the East Hampton Fire Department and a number of events through out the year, including the fun annual “Polar Bear Dip” in January. At Main beach there are occasional unexpected marine visitors, like a seal! 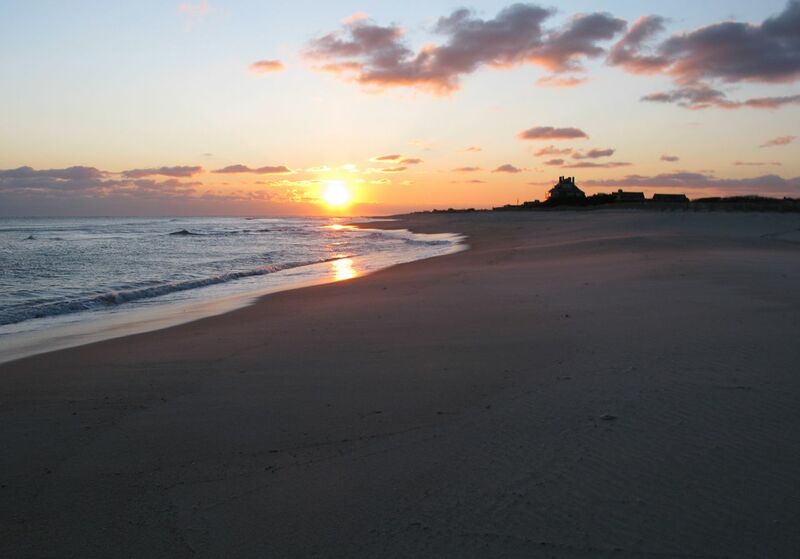 You can find much more practical info about Main beach and all the other Village beaches here. 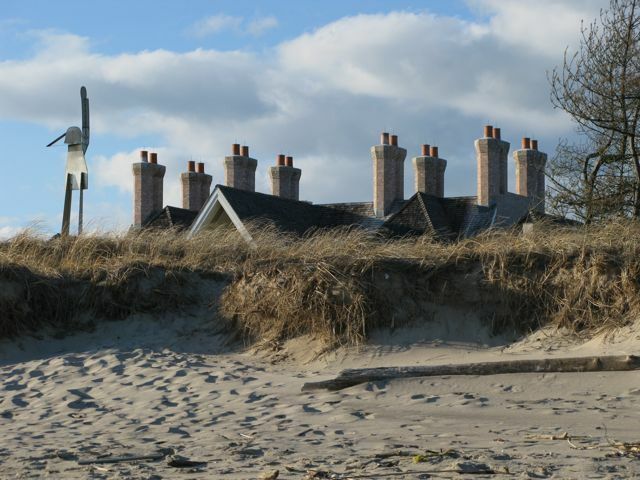 The beach house at Main Beach is a landmark. Just east of Main Beach are two rows of pylons extending into the surf, which have been photographed by various photographers, including John Todaro. It’s not clear to me why they were originally erected. A bit further along is a rocky jetty extending 30 yards in to the surf. Further east you should climb up on to the dune to see Hook Pond just behind the dunes, surrounded by Maidstone Golf Club greens and by expensive real estate! Finally, on my last visit we saw these sea gull tracks…the tracks suggest that the bird was limping, with an injured left foot! It’s a beautiful, sunny, but cold January 1st Sunday! They have just had the annual Polar Bear dip at Main beach and the sand is trampled with foot prints everywhere. I head west. It is close to a mile to reach the next beach access parking lot just by Lily Pond, at the end of Lily Pond Lane. Lily Pond Lane is a fancy address with many large mansions overlooking the Atlantic ocean. The high light of this walk along the beach has to be the mansions, with 20+ rooms it seems. They are partially boarded up for the winter months, but still beautiful and some of them are quite old. The beach gradually narrows until you reach an area marked by erosion barrier boulders meant to preserve the homes built on the dunes, way too close to the beach! There is a rock jetty and you reach your destination (Lily Pond beach parking lot) just beyond. My walk on this cold day was remarkable because of large amounts of sea glass on the beach. Was this a fluke of the tides? I checked with a couple of beachcombers. Like myself, they had collected more beach glass than their pockets could accommodate! They said they knew the beach well and they had never found this much beach glass… I guess this was a New Year’s gift to us. Beach glass jewelry is a favorite for many of us, see this image of a blue beach glass pendent. There was also quite a bit of “beach foam”. I am amused to watch the wind whip it up and send small balls of foam scurrying across the beach. The sea foam is prevalent on all beaches out here. I have often wondered why. Is the ocean water contaminated with detergents from our laundry machines? Is this man made or natural? According to several websites this is a phenomenon observed world wide with some beaches in Australia dubbed Cappucino Coast, or “bubblicious”. The pictures of massive 16 foot walls of foam are impressive and fun for foam bathers down under! Could salts and chemicals from our waste products contribute to “death of plants, decomposed fish and excretions from seaweed” and/or an overgrowth of algae? I guess the jury is still out and an area of active research according to Dr. Venrick in the NY Times. Technically this refers to the beaches adjacent to Georgica Pond. The pond has a small inlet. The beaches to the east of the inlet are accessed via Lily Pond Rd which leads to the small Lily Pond Beach Parking lot (see above). From here it’s just shy of a mile to the Georgica Pond inlet. It’s a beautiful walk. 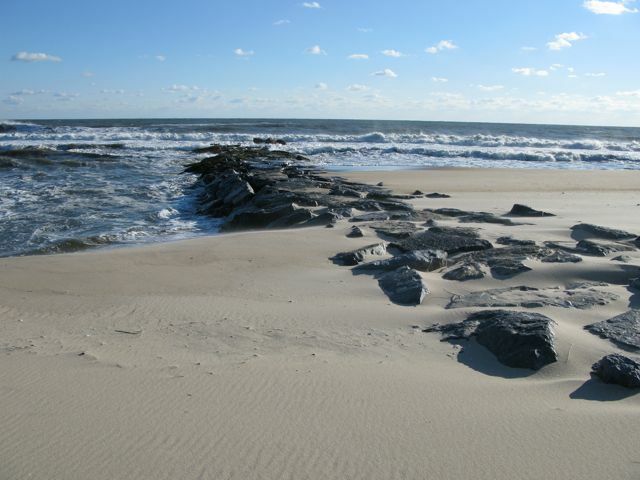 The beach is interrupted by rock jetties built as erosion controls. Rock Jetty on Georgica beach – Erosion control or not? up for the winter and the chimneys out of action. The areas by the inlet to Georgica Pond and the sand bars extending along the pond are beautiful and home to many seagulls and birds. Looking across the pond there are large man made mounds of sand – evidence of dredging. Signs of protest on the eastern end of the beach close to the parking lot attest to the ongoing battle between one owner of beach front property who would like to restrict access by building fences and fortifications against storm erosion, and the rest of us who would like to enjoy these beautiful beaches. Access is via Beach Lane and there is a public parking lot. A private road, Pierson Lane, also leads to the beach with a parking lot reserved for the Georgica Beach Association. The eastern part of this beach leads to the inlet of Georgica Pond. These are beautiful summer bathing beaches. Rock jetties obstruct beach vehicles east of Georgica Pond inlet, but on the Wainscott side there is free access and I seem to encounter more beach vehicles on this beach then pedestrians. But it is a large flat beach with plenty of room. This entry describes the beaches extending nearly 3 miles from Town Line Road in the east to Sagg Main Street where there is a large parking lot. Technically this area is what is referred to as Sagg Main Beach. Just a few hundred yards further west there is the inlet feeding Sagaponack Pond. There are other access roads at Gibson Lane (Gibson Beach) and at Peters Pond Lane (Peters Pond Beach) along the way between Sagg Main and Town Line Road. I have walked these beaches many times. It is a favorite for dog walkers in the evening after 6 pm or before 9 am. The 6 mile round trip is a long walk and we often will walk either the eastern end or the western end. I think there are 2 interesting features of this beach. Approaching from the east the beach gets narrower until you reach an area with large cement cyclinder shaped blocks in the sand, meant to prevent further erosion. At high tide the surf swirls around the blocks creating foam. In this area there are several homes built way to close to the beach and to my eye one of them already appears tilted! 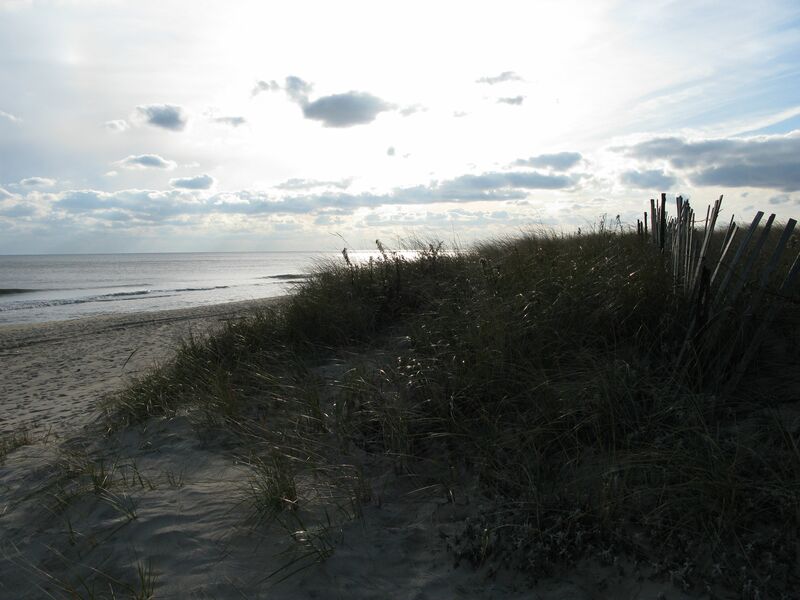 Other home owners have created man-made 10-20 feet high sand dunes and are planting beach grass on them. It’s a weird look, somewhat like those bald men with hair transplants! I wonder about the hubris of humans: do people really think they can control the power of the ocean? 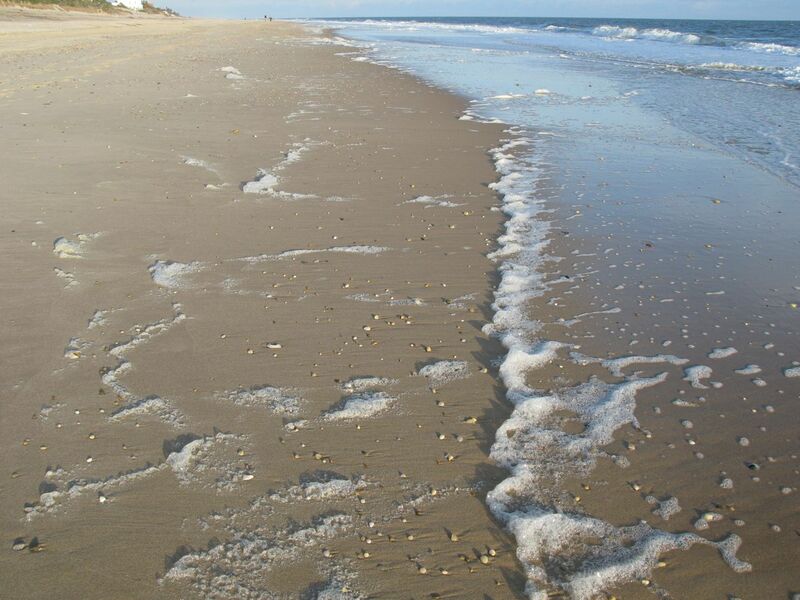 Of all the ocean beaches, Sagg Main arguably offers the nicest variety of beachstones. It is still a sandy beach, well liked for bathing, but there are patches rich in small stones (less than 1 inch in diameter). At low tide they are nicely displayed and offer some rare finds. On the far western side, you should take a walk around the beach house and parking lot, all the way to the inlet. Sometimes the inlet to Sagaponack Pond is closed off at low tide. It is a beautiful spot with great views and a path leads through the dunes back to the parking lot. The beach can get pretty crowded in the summer. Specially in the evening when the drummers perform on Monday evenings. These are impromptu happenings which are great fun. 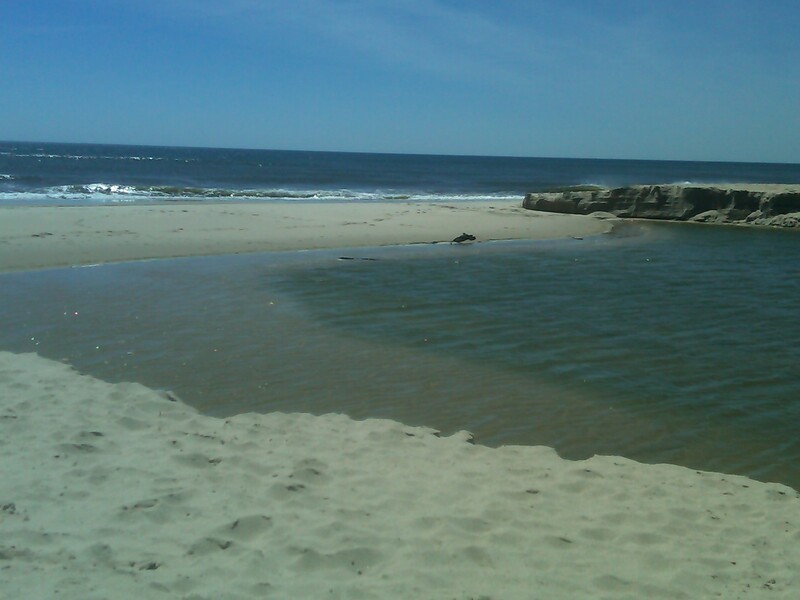 Finally, Sagg Main beach is also a great beach for surfing, second only to Ditch Plains beach in Montauk. See the article by Benito Vila “Surfing at Sagg Main”. for school and I did a lot of searching and found your points to be some of the best. I appreciate you taking the time to write this.